Since its emergence, the online shopping methodology has completely changed the orientation of shopping. The web domain fetches the widest portfolio of products in various categories; buyers can shop in their preferred times and they need not to keep strolling from one counter to another, in quest of the product. The online shops offer delightful deals and hence, the buyers can get the availability of the products at highly competitive prices. It is for these reasons that, the best online shops are trading in very high margin. On the other side of the picture, there lies wonderful business potential. KNB wealth has brought you the chance to register as an affiliate with the top e-commerce service providers in India. We are proud to be associated with the leading international e-commerce providers like Flipkart, Amazon, E-bay and similar other sites. Through our portal, you can register with these sites as a marketing affiliate. This will enable you to start your own business, putting the minimal investments. The top e-commerce sites in India will fetch you the chance to earn in very high figure, be referring the online traffic to buy from its sites. The affiliate program will be the ideal choice for the webmasters and bloggers. 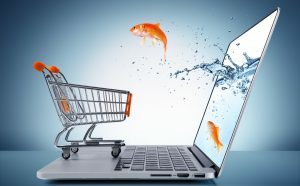 The e-commerce provider will assist you with the necessary training and will support you with the necessary marketing tools, that you will require to function in the capacity of a marketing affiliate. The affiliate marketing business among the top choices of occupation in modern times and if you are a webmaster or a blogger, this is a chance, that will enable you to quantify your monthly income. It will be worthy to say that, KNB serves just as the platform to connect you with the top e-commerce providers in the country. You need not to pay us any consultancy fees or to share your revenues with us, subsequently.